First-century Nazareth Village is the result of years of research and was built using ancient materials and techniques, making it one of the most authentic filming sets. It is an accurate reconstruction of a Jewish village under Roman occupation, set during the Late Hellenistic period. Nazareth Village re-enacts daily life in the first century – a working farm with sheep, goats, donkeys, a working olive press, an authentic first-century stone quarry, terraces, a vineyard, olive and pomegranate trees and cultivated grain fields. 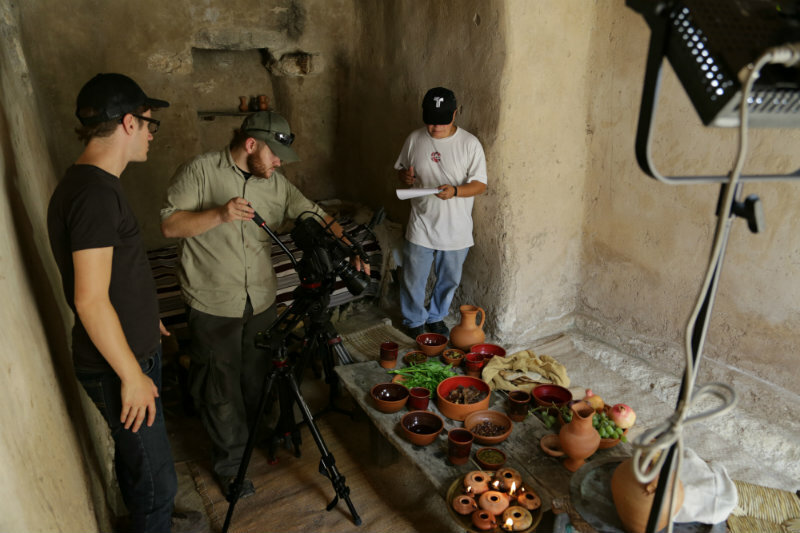 “I found Nazareth Village to be a wonderful place where a committed staff and authentic first-century location come together to create a unique setting for Biblical productions.” – Chris Mitchell, Middle East Bureau Chief, CBN News.